Don’t let it pass you by, take the utmost of it. 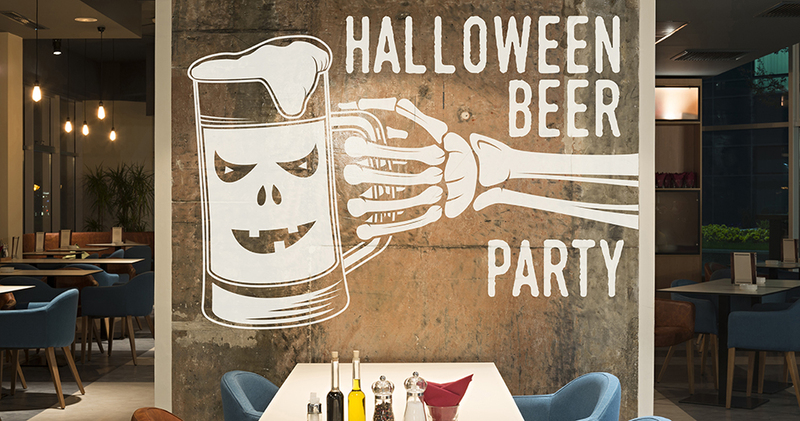 There are countless options for leveraging Halloween to get your business noticed and attract new customers. Here at Front Signs we’ve been helping companies of all sizes explode their revenues during this holiday for the last 8 years. 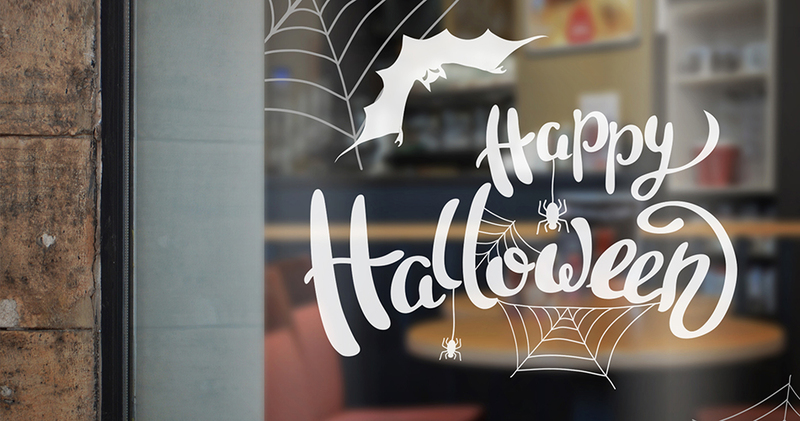 Check out the list below for inspiration and more fresh, creative ideas you can use to have customers flow into your business during Halloween. Pumpkin decorations, pies, wheat spikes are there for orange provision. Scary stands with cemetery graphics, bets hanging from the ceiling, witches flying in the air here and there will give the most pleasant feeling to your zombies (or the feel of real Halloween to your customers). Lighting – important as hell. Keep the space as dark as possible for deeper effect. Even an ordinary knock on the door is scary in the dark. Costumes, costumes…one of the main reasons Halloween is so anticipated. Baristas, waiters, customer support specialists, seller consultants will be pleased to dress up like they never did on ordinary days. If you have these, you can move forward and do what will differentiate you from others. 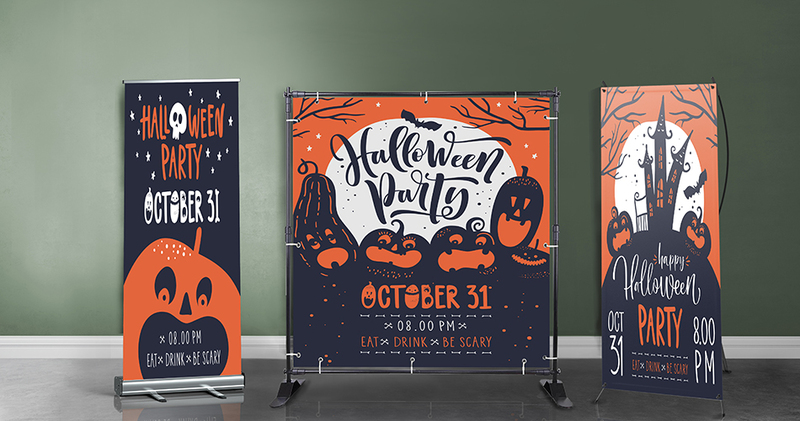 Custom decals, wooden signs, light boxes will create a unique Halloween look for your place. Witches flying on your walls, ghosts rising from cemeteries, Pumpkins sniggering with something blood-curdling in their minds…will make your space booo-tiful ~ and keep your ghosts guests and customers in the mood. 3. Halloween Floor decals ???? Attract all the zombies to your haunted house (store) showing them the road. 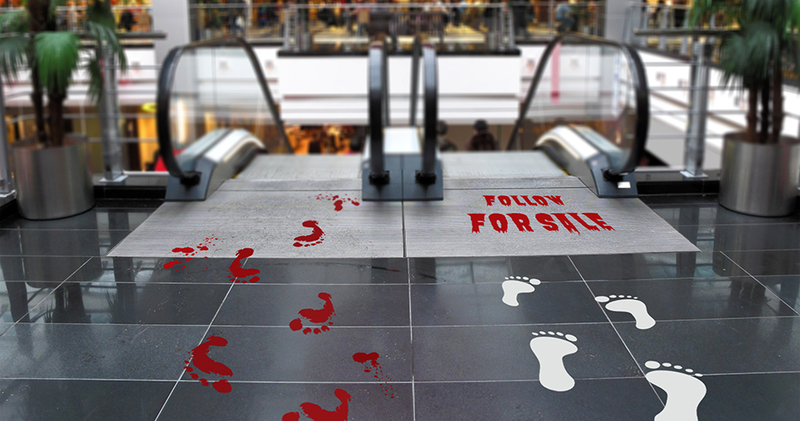 Lead them with bloody footstep decals with the hope to find the best Halloween offers there. The promise of delicious pumpkin pie will do as well. 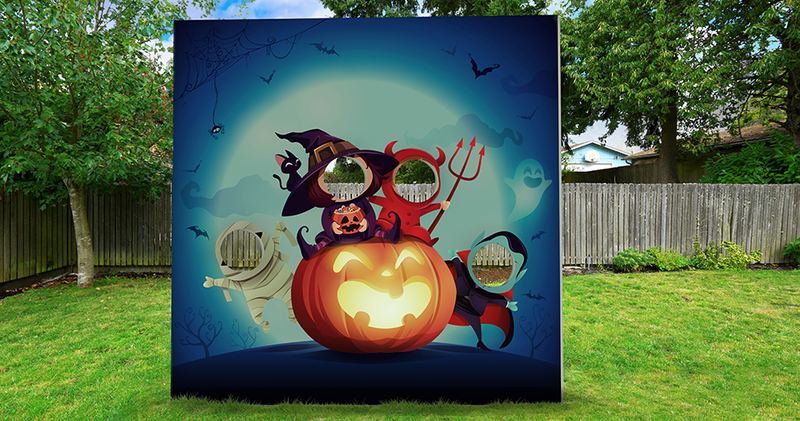 Find cool Halloween templates for your decals at Square Signs. Halloween is the right time to thank your loyal customers with thank you gifts, like attractive Halloween-themed magnet prints. Reward the loyal ones for their long-time faithfulness or give away a magnet to every new customer for a purchase. Have a contest on social media? These spook-takular little prizes can encourage the ones who took part in it. Grab extra attention with hair-rising banner boos so your ghosts stay for the booze. ???? 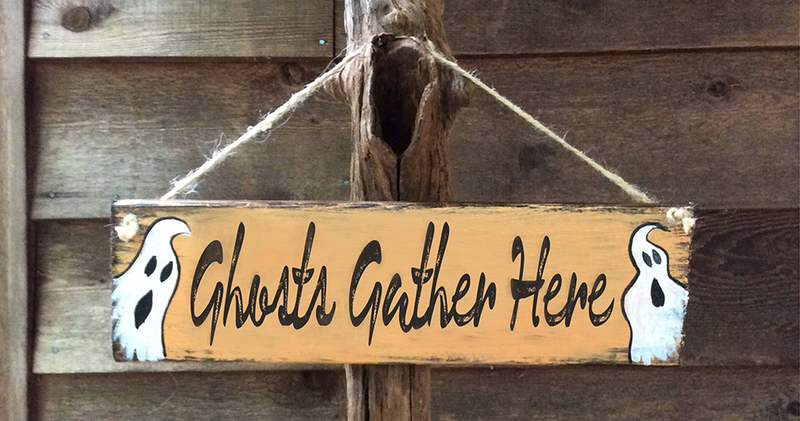 Let everyone know where the best ghosts, vampires, goblins and pixies of the city gather together to have the bloodiest party on this Halloween…with wooden signs of course. This all-time classic material will give your place the mysterious look you long for for this Halloween. Wanna be noticed from afar? Let spiders knit their webs and witches fly high on your Halloween flags. They will bring a new wave of customers to your castle. 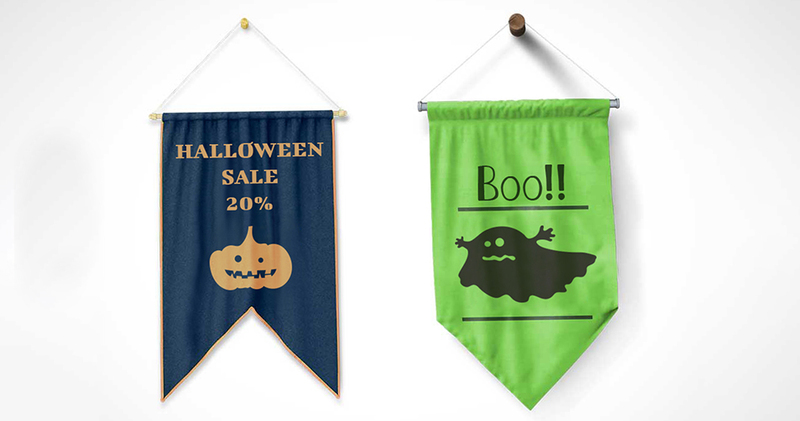 You can use flags as unique Halloween decorations or announce your holiday sales with them. 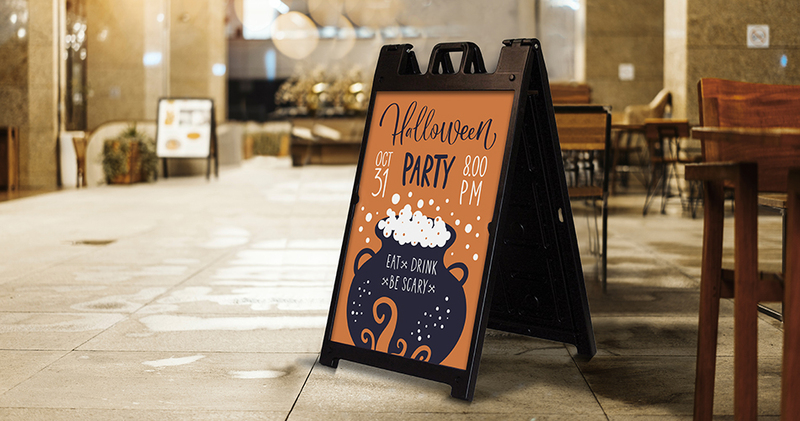 A-frame sign is ready to attract all the ghosts and crawlers for your All Hallows’ Eve night event! Your spooky graphics will direct the supernatural creatures towards your zombie space. Put a spell on your loyal zombies with a spine-chilling graphics and have a great party! Let your guest-ghosts or monster-customers have the most spine-chilling photos at your place. 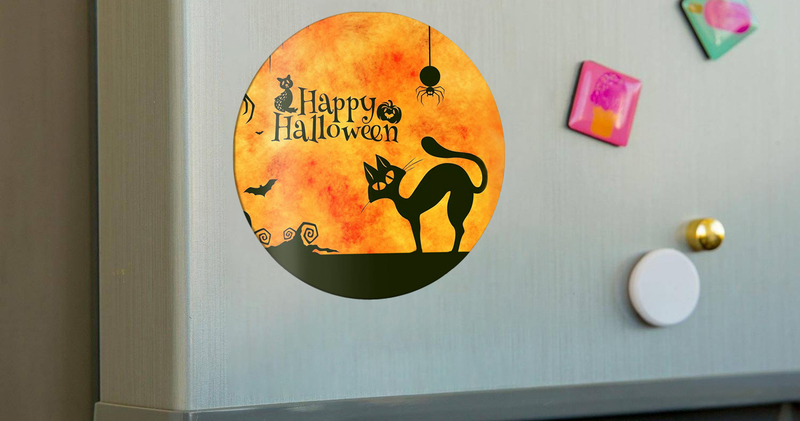 Spooky Cutouts will help you have the halloweeny spirit all through the Halloween period. Halloween just can’t pass by your house or office (second house). 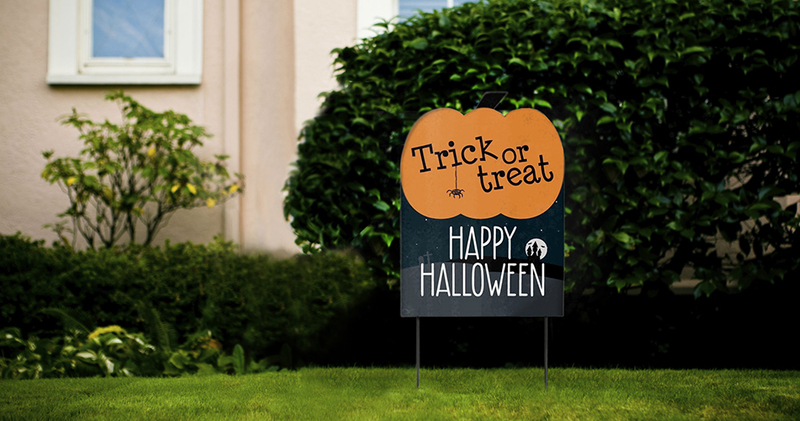 Bring joy to your children, employers or deliver the Halloween mood to passers-by with your fang-tastic Halloween yard signs. What a Halloween without Jack O’lanterns? If you’re not a master of Pumpkin carving, we have something for you! Pumpkins made at our manufactory will look amazing and serve you every year on this time, worth a try, huh? Halloween is the day before the Christian holy days of All Hallows’ Day on 1 November and All Souls’ Day on 2 November. This is where the word “Halloween” comes from – Hallows’ Eve. Why is Halloween celebrated on October 31? Halloween is celebrated on October 31 because ancient Scottish festival Samhain, the root of Halloween, was on this day. According to them on this very day the two worlds of the living and the dead were the closest. This allowed the dead to cross the border and wander on Earth. .Why are Jack-O-Lanterns called so? Jack-O-Lanterns are carved pumpkins with lanterns in them that are a symbol of Halloween. Before the Irish would migrate to America, turnips and potatoes were carved instead of pumpkins, but then pumpkins – bigger and more suitable for lighting – came to replace them. 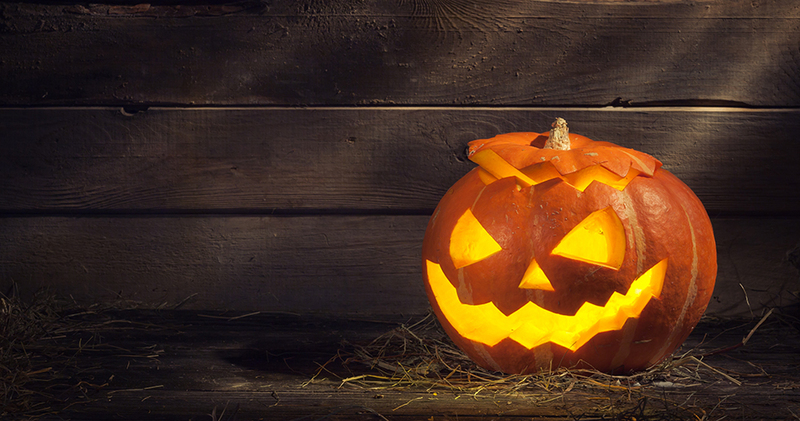 The name Jack-O-Lantern comes from “Stingy Jack” – an Irish myth hero. According to the legend he successfully tricks the devil and avoids going to hell but is unable to go to Heaven as well. Since that day he wanders the Earth and carries a lantern with him to light his way at nights. There’s a phobia from Halloween that even has a name – Samhainophobia. Why do people dress up on Halloween in scary costumes? The tradition of dressing up in scary costumes on Halloween dates back to the ancient Celtics. They believed that dressing up like ghosts, spirits or demons would blend them in with real ones that roam in the streets on that day. Thus they would stay safe and sound. Nowadays Halloween is the second highest grossing commercial holiday in US and Canada, meaning that YOU can boost your business easily just enjoying a happy day. Go ahead, use these gravy decorations to give a spectacular look to your place and make a whole army of loyal customers on this Halloween. The ideas are just amazing.. I love the graphics and will decortate accordingly!!! !